← The Ghost Trees — Published! Beware of Dog. No, no. RE-E-E-EALY BEWARE of this cur. She doesn’t bite. She rips huge chunks of living flesh off you and swallows them whole. Don’t ever say I didn’t warn you. The Hound of the Baskervilles was a runt compared to this one. And how about those markings? Pretty scary, huh? Especially when she’s leading her pack of half-coyote monsters hot on your heels. These are the things of concern to Peyton McKean and his buddy Fin Morton in my newly released short story, “A Dangerous Breed.” When Dr. McKean is summoned to the deserts of Eastern Washington not far from the Hanford Nuclear Reservation to help clear up the mysterious deaths of two men, he finds much more than he bargained for. The killers weren’t exactly human, you see. They weren’t exactly canine either. In fact, they were . . . well, read the story and find out. Along the way, you’ll meet some characters I’m rather proud to have written: a Native American of the Colville Tribes who has some shamanistic tendencies and who seems to know an awful lot about the murders and the murderers, a tough old sheriff who’s hot on the killers’ tails, and some folks at the nuclear plant who seem to know more than they’re telling. It’s the haunting season. Prepare to be scared. 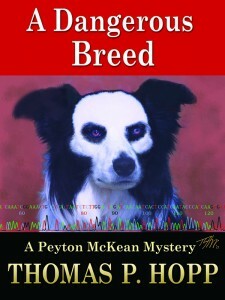 “A Dangerous Breed” is available as a Kindle ebook from Amazon. It has yet to appear in its Nook, Kobo, Sony Reader and other forms, because Barnes and Noble and the other outlets tend to be a bit slower in getting their versions out. If you’d like to get your hands on a copy right away, you can always go directly to the publisher, Smashwords, where the Nook and other versions are all available already. Like all my short story ebooks, it’s cheap: 99 cents. Happy reading. Happy Halloween. Good luck sleeping. 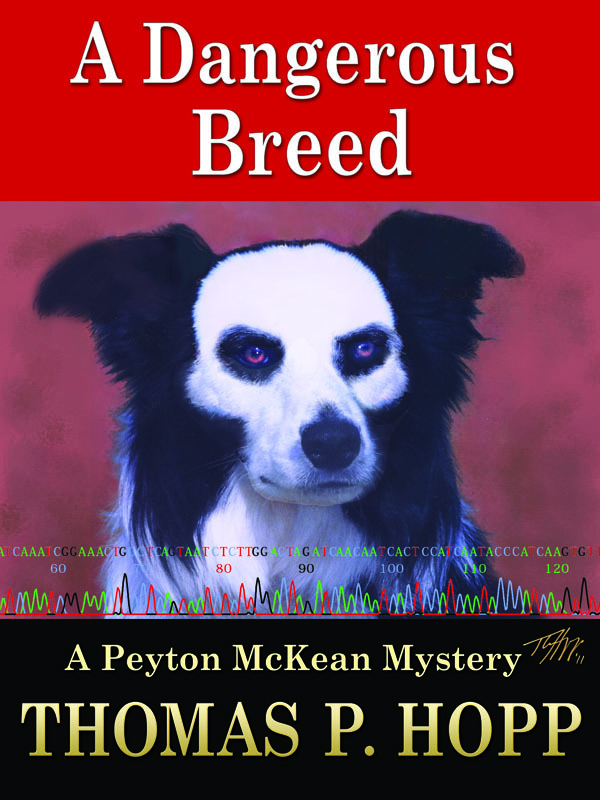 This entry was posted in Author, Indian Country, Peyton McKean and tagged coydog, genetic code, GMO, Native American, Peyton McKean, Shaman, story. Bookmark the permalink.